Home > Colour & Music > The Capturing of Gestures, Image and Light. > Trecartin/Fitch Show in Camden. 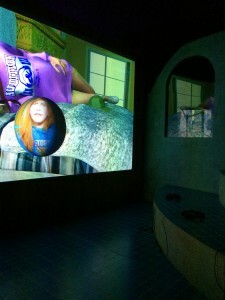 Incredible Cross Sensory Installation/videos by Ryan Trecartin and Lizzie Fitch at a show in London in December 2014.